Addison's disease (or hypoadrenocorticism) is caused by a decreased production of two hormones from the adrenal gland. These hormones are cortisol (a stress hormone) and aldosterone (a mineralocorticoid hormone that regulates the body's water balance through its effects on sodium and potassium). In humans, Addison's disease is primarily caused by immune-mediated destruction of the adrenal glands (called primary hypoadrenocorticism). In effect, the immune system wrongly recognizes the gland tissue as "foreign" and destroys it as it would destroy a virus. 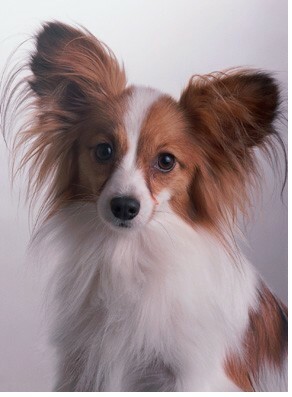 This is also thought to be the main cause of Addison's disease in the dog. Other less common causes of damage to the adrenal glands may occur through trauma, hemorrhage, or infection. Regardless of the cause of adrenal gland destruction, the levels of both cortisol and aldosterone will be decreased, resulting in clinical disease. In addition to conditions that directly affect the adrenal glands, Addison's disease may result from decreased stimulation of the glands by the pituitary hormone ACTH, called secondary hypoadrenocorticism. This secondary form of Addison's disease is rare, and may be related to trauma, inflammation or tumors in the region of the pituitary gland. Decreased cortisol production is the main feature of this form of Addison's disease, while the production of aldosterone is less affected. When an animal is receiving corticosteroid-containing medications such as prednisone over a prolonged time, the normal production of cortisol by the adrenal glands is reduced. If this medication is withdrawn rapidly, the adrenal glands will not be prepared to suddenly resume cortisol production. Therefore, a temporary condition similar to Addison's disease may result. Finally, Addison's disease may occasionally occur following treatment for hyperadrenocorticism (Cushing's disease). This form of Addison's disease is termed iatrogenic (caused by clinical intervention). What tests are used to diagnose Addison's disease? and may mimic other disease conditions." The signs of Addison's disease are often vague, and may mimic other disease conditions. Therefore, it is important to perform initial screening tests that evaluate blood and urine samples to help rule out other disease conditions and to establish further evidence of Addison's disease. Given the slowly progressive nature of this disease, the number of changes or 'clues' to Addison's disease that are found in this initial testing are variable. The red blood cell, white blood cell, and platelet components are evaluated. 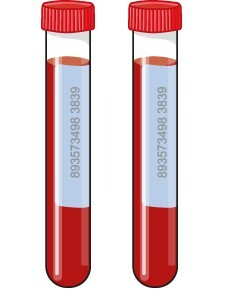 Occasionally a mild anemia (low red blood cell count) is noted with Addison's disease, as cortisol is required for optimal red blood cell production by the bone marrow. Often, sick or otherwise stressed dogs will have characteristic changes in their white blood cell populations. These changes can be brought about by the effects of cortisol (a stress hormone), as well as by the effects of an ongoing infection. As the amount of cortisol decreases in Addison's disease, these characteristic stress-induced changes may disappear. Serum (the liquid portion of blood) contains enzymes, proteins, lipids (fats), glucose (sugar) and metabolites. These serum components are derived from different organs such as the liver, kidney and pancreas, and their measurement can give us an indication of the function of these organs. Changes seen with Addison's disease are usually related to the lack of hormonal (cortisol and aldosterone) effects on organs, rather than organ damage. Since cortisol is required for maintenance of proper serum glucose (blood sugar) concentrations, a deficiency may result in hypoglycemia (low blood sugar). Aldosterone regulates the body's water balance by its effects on sodium and potassium. A lack of aldosterone may be reflected by changes in the proportion of sodium to potassium in the serum, and by a decrease in total body water. This decreased body water has an effect on the kidneys, making it difficult for them to rid the body of waste products. An increase in metabolic byproducts such as blood urea nitrogen and creatinine can be measured in the serum. The decrease in total body water related to Addison's disease often cannot be measured directly but can be estimated by the concentration of urine that an animal produces. A special instrument called a refractometer is used to evaluate the concentration of the urine. The kidneys are expected to produceconcentrated urine when water is less available. Because of the multiple effects of cortisol and aldosterone on body organs, the changes outlined above are not specific for Addison's disease but may also be seen with dysfunction of other organs. Therefore, if we find a pattern of changes supportive of Addison's disease, we will need to confirm our diagnosis by the use of a specific diagnostic test, called the ACTH stimulation test. How does the ACTH stimulation test work? ACTH is a hormone naturally produced by the pituitary gland (located in the brain). 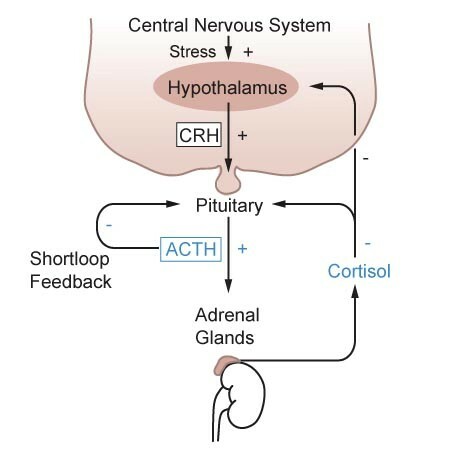 The purpose of ACTH is to tell the adrenal glands when and how much cortisol to produce. "This test requires two blood samples taken approximately 2 hours apart." As the blood level of cortisol increases, it causes the pituitary gland to decrease its production of ACTH, which results in a lowering of the cortisol level. 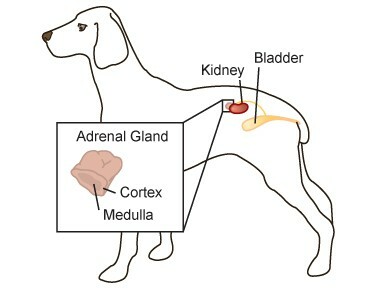 The ACTH simulation test mimics this natural stimulatory pathway and demonstrates the capacity of the pet's adrenal glands to produce cortisol in response to an injection of synthetic ACTH. This test requires two blood samples taken approximately 2 hours apart. The first blood sample is taken prior to synthetic ACTH injection and the second sample is taken 2 hours following the injection. The two samples are measured and compared to assess the response. What do we expect to see if the patient has Addison's disease? Regardless of the underlying cause of Addison's disease, the results of the ACTH stimulation test are similar. In all instances, this test is characterized by a low amount of cortisol in the blood sample taken prior to the administration of the synthetic ACTH, and either little or no increase in the amount of cortisol measured in the sample taken after the ACTH injection. A lack of response to synthetic ACTH administration confirms the diagnosis of Addison's disease. How can we differentiate between the causes of Addison's disease? A thorough review of all medications that your pet has been receiving (both oral and topical formulations) is essential. If your pet has received medications containing corticosteroids that are suddenly stopped, he may have a temporary Addisonian condition that only requires treatment for a short time. If your pet has been treated for hyperadrenocorticism (Cushing's disease), the adrenal glands may become unable to produce cortisol and aldosterone. This condition is permanent and your pet will require treatment for his lifetime. Most cases of Addison's disease that are not related to the effects of medication are caused by immune-mediated destruction of the adrenal glands (i.e. the body's own immune system wrongly considers the adrenal gland to be 'foreign' and destroys it as it would a virus). As the function of these glands decreases, the amount of cortisol in the blood also decreases. This decreased blood cortisol level prompts the normal pituitary to secrete more stimulating hormone (ACTH) in an attempt to 'beef up' cortisol production. Eventually this effort becomes futile. However, the increased blood ACTH concentration can be measured. The amount of this endogenous ACTH is typically increased in dogs with Addison's disease due to adrenal gland disease. Conversely, with cases of Addison's disease due to lack of production of ACTH by the pituitary, the endogenous ACTH concentration will be decreased. Since both cortisol and aldosterone hormones are usually decreased with Addison's disease, do we need to measure aldosterone as well? Studies have shown that measuring aldosterone concentrations does not reliably differentiate amongst the different causes of Addison's disease. Therefore it is rarely indicated. This client information sheet is based on material written by: Kristiina Ruotsalo, DVM, DVSc, Dip ACVP & Margo S. Tant BSc, DVM, DVSc.